Over 800 saw Watford hit for six by Arsenal, Sunderland bagged a crucial bonus point at Sheffield FC and Everton edged close to a quarter-final berth. Watford rewarded a big home crowd by restricting Arsenal to a narrow interval lead but the Gunners ran away with it in the second half. Jodie Taylor’s goal on 15 minutes from Emma Mitchell’s cross into the goalmouth was the difference between the sides at the break. But that lead was doubled just 2 minutes after the restart, as Danielle Carter tapped in Lisa Evans’ low cross and it was 3-0 just after the hour mark, Mitchell netting after the Hornets failed to clear a corner. 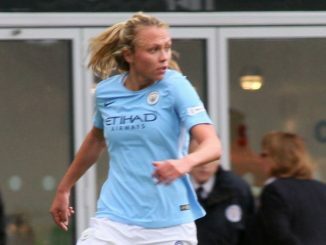 A rush of three goals in four minutes followed, as Dominique Janssen flicked the ball in from a corner, Danielle van de Donk lobbed the goalkeeper from close range and then Taylor scored her second of the game. Sunderland won on penalties against Sheffield FC after a 1-1 draw, to gain the bonus point that puts them into the quarter-finals. The Black Cats took a 33rd-minute lead when Lucy Staniforth latches onto a long ball forward to tuck it beyond goalkeeper Danielle Gibbons. Sarah Jackson soon made a fine block as Staniforth looked certain to make it 2-0 and moments before half-time the hosts were level, Rhema Lord-Mears cutting in to curl a shot past Rachel Laws. Gibbons having kept the scores level when keeping out a powerful header from Zaneta Wyne, her side then missed a penalty, Laws tipping Melissa Johnson’s stop-kick onto the post after bringing down Sophie Jones. 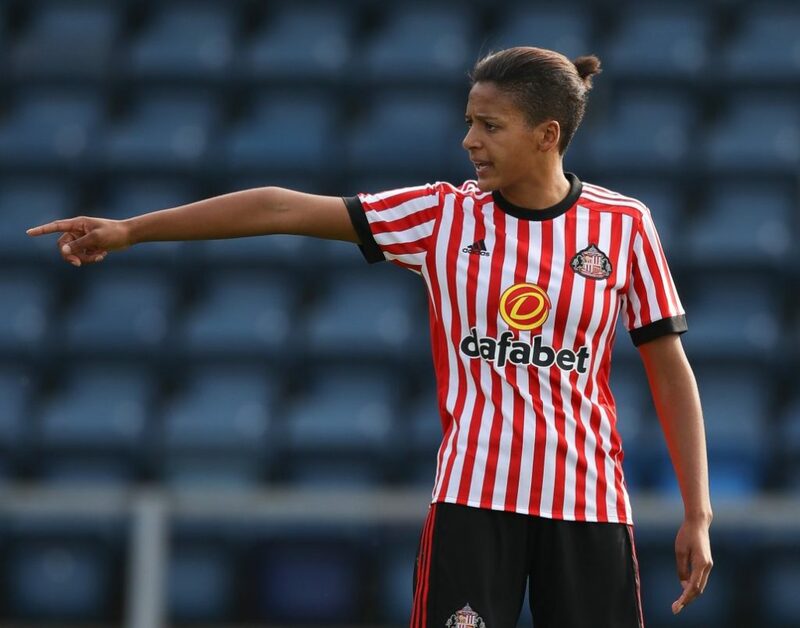 Simona Koren and Staniforth both had efforts cleared off the home line, before the latter went off injured, leaving Sunderland to play the last few minutes a player down. 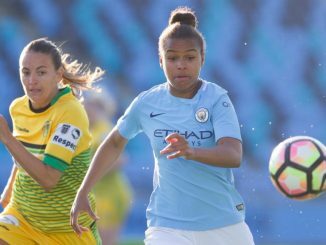 Laws twice denied Johnson a stoppage-time winner and also saved another penalty in the shoot-out, before Victoria Williams stepped up to smash home the decider. 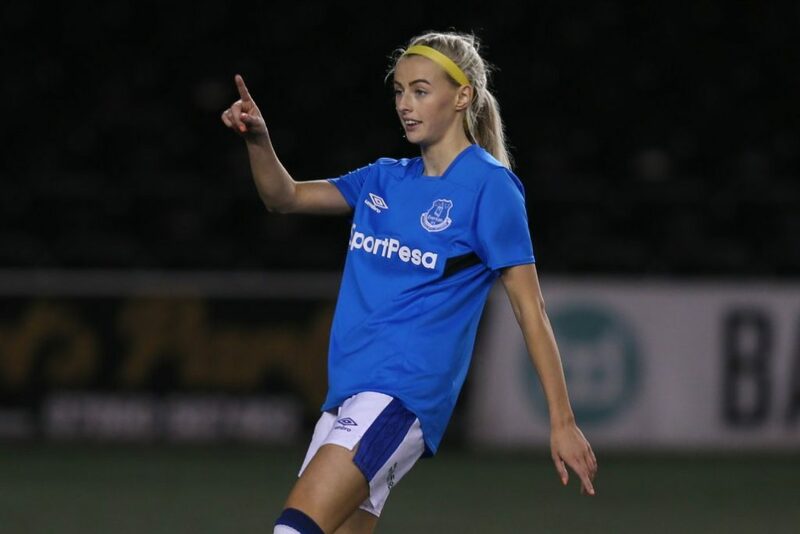 Everton closed in on a place in the Continental Tyres Cup quarters, as Chloe Kelly scored three times in a 4-0 win over Oxford United. Claudia Walker forced Oxford’s Demi Lambourne into a great save before the Toffees took a 10th-minute lead, Kelly volleying through the keeper’s legs after a flick on from Simone Magill. 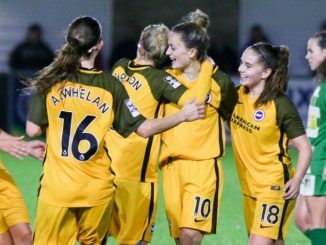 Hannah Short and Danielle Carlton went close to an equaliser, while Lambourne denied Magill when through on goal and also saved Kelly’s overhead kick. Everton eventually got their second goal on 69 minutes, as Claudia Walker slid the ball under the keeper from Jodie Brett’s through ball. Andy Spence’s side added two more in the last 10 minutes, Kelly striking home from the edge of the box before completing her treble from the spot after Walker was brought down.